A truly unbelievable terrorist attack has occurred in Nice, France, in which 84 people have died. More than fifty others are critically hurt after Bastille Day celebrations turned into one of the country’s worst ever terrorist atrocities. 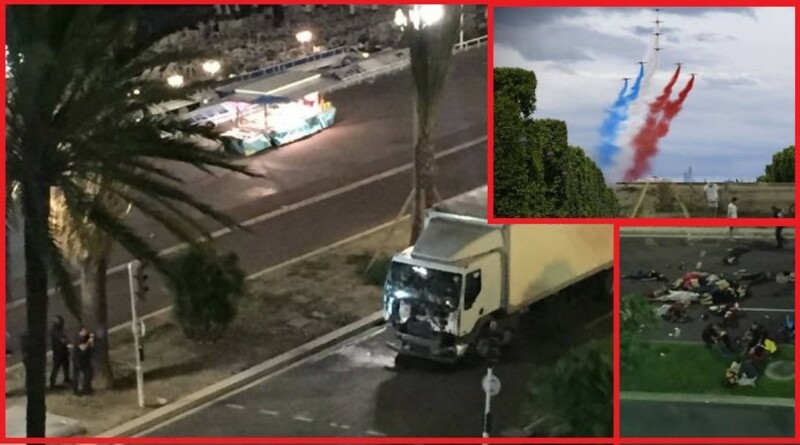 A large white truck loaded with grenades sped for 2km before hitting a large crowd of people walking along the coastline, back from a fireworks display. A 31 year-old Tunisian man has been arrested and the driver is thought to have been shot after a shoot-out with police. ISIS are yet to officially claim responsibility, but there is little doubt as to the motives behind the awful incident. Photos and videos quickly hit social media of the carnage in the coastal city as panic rang out and fear gripped those that had seen the awful violence. The world is now in total shock over the callous and vile attack. Previous articleThe Process Behind Retreading Tires With This Machine Is UNBELIEVABLE! Next articleShe Didn’t Know What Her Gynecologist Would Find… OMG! They’re Pulling On A Rope. Wait Until You See What Comes Out!